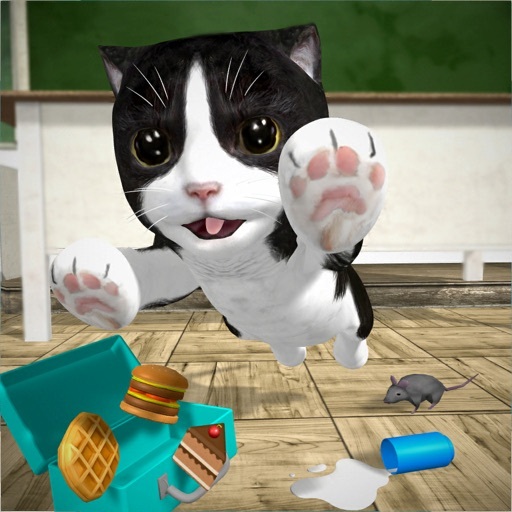 Get ready to have an amazing adventure as your favourite pet (dog or cat) in a wonderful land full of crazy fun things to do. 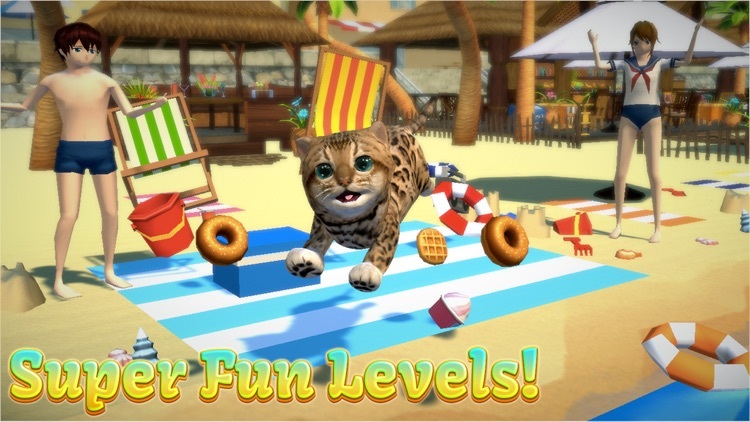 NEW: Collect Coins and Diamonds as you Play in our exciting new locations to Unlock new Cats, Pets and Accessories! 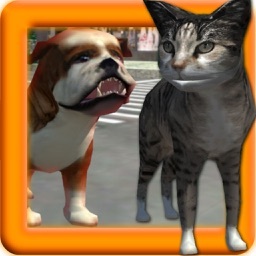 Play as your favorite cat or dog! Hundreds of fun interactions in great environments for hours of solid good fun. 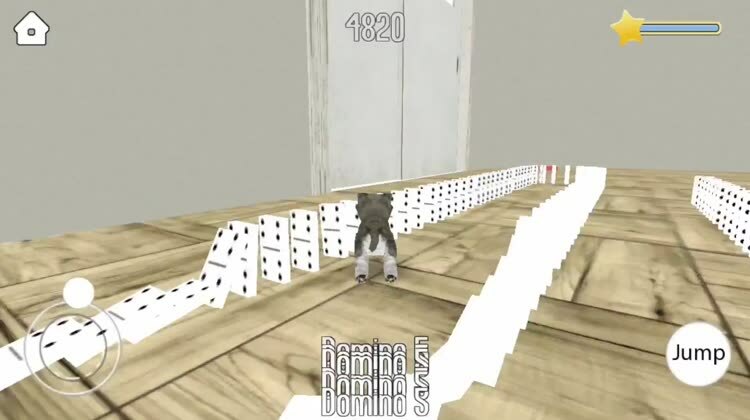 MULTIPLAYER: 6 new Multiplayer levels - every level is now playable as multiplayer. Create your own rooms and invite your friends. Check out the accessories - hats, helmets, moustaches, glasses and loads more then take a photo and share it on Facebook or Twitter with your friends. 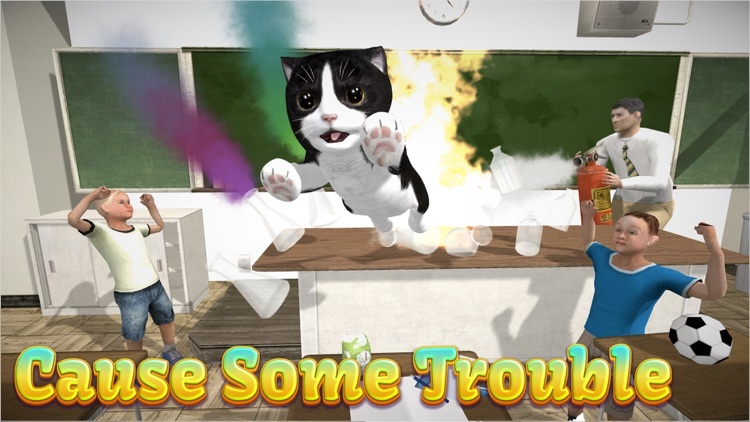 See if you can get the highest score or unlock all the achievements. 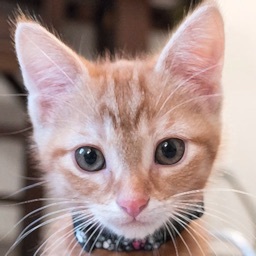 With over 20 pets to choose from there's no end to the fun! Farm Level : Lets help drive a tractor? Go on quests to help the crows and help the horses escape! 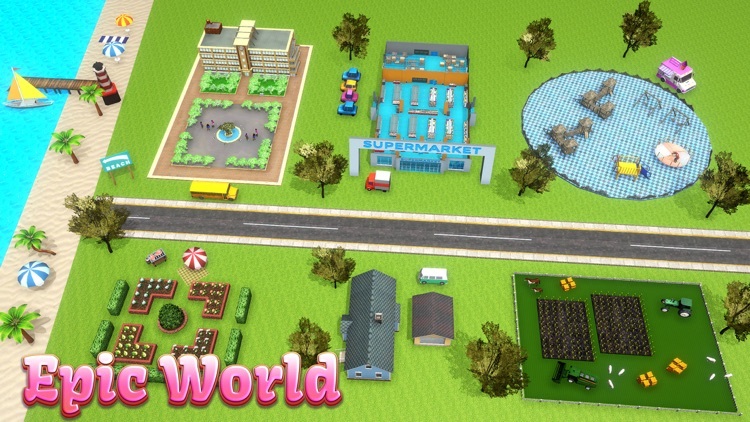 Playground: Want to fly on a kite, eat ice cream or go on the swings? Schools out! Play Dominos, Ride on a skateboard, play in the gym. Home: Dads playing golf - lets play too and steal the ball. Whats cooking in the kitchen? Interact with the family - If you're nice maybe they'll feed you. Garden: Chase ducks, help with the planting, make friends with the dogs in the garden or maybe the squirrels? Beach: Jetski? set off some fireworks, play in a band, dig sand with a dozer, build a sand castle and more! 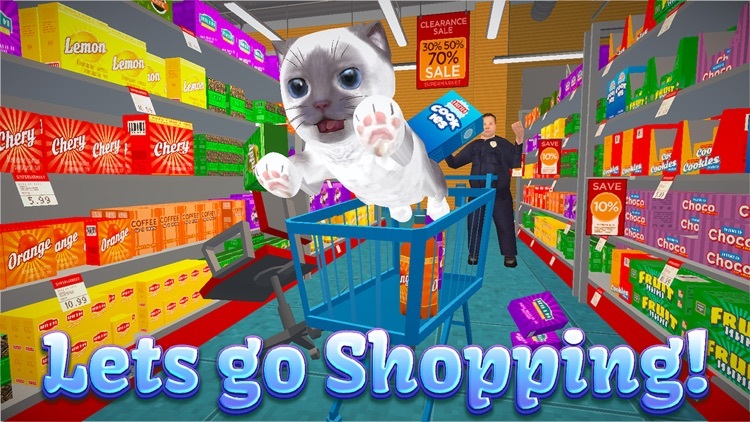 Supermarket level - Cause havoc in the supermarket, play with the toys, chase mice, set off the fire alarm, fly on a plane, ride on a trolly and lots more! All accessories, places and pets can be unlocked for free, so dive right in to play with Porky Pig, Billy the goat, Shadow the dog, Sammy the tomcat cat or any of the many pets. 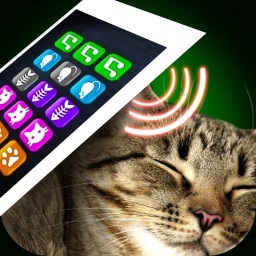 Use the joypad to move around and swipe the screen to get a 360 degree view of your pet. 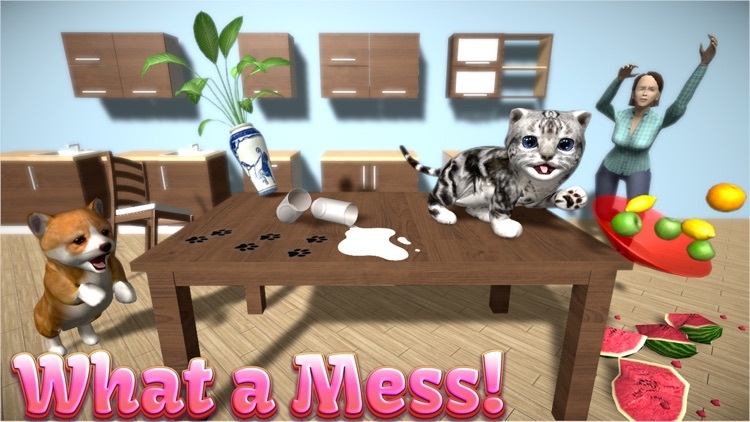 Prepare for catlateral damage in the cat simulator in their wild, fun lives. 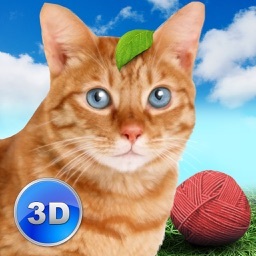 New: play in HD or SD quality mode. 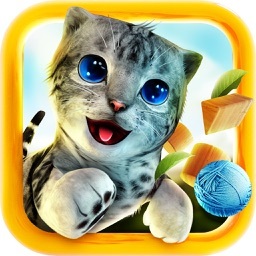 Extra cat games levels added all the time. What do they get up to in their secret time?